This miniature spectrometer is about the size of a matchbox, yet provides 0.8 nm (VIS) and 1.1 nm (UV/VIS) resolution. It’s powered by a USB 2.0 connection, which is also available for transferring data. The spectrometer comes standard with a 20 µm entrance slit, though other sizes are available upon request. 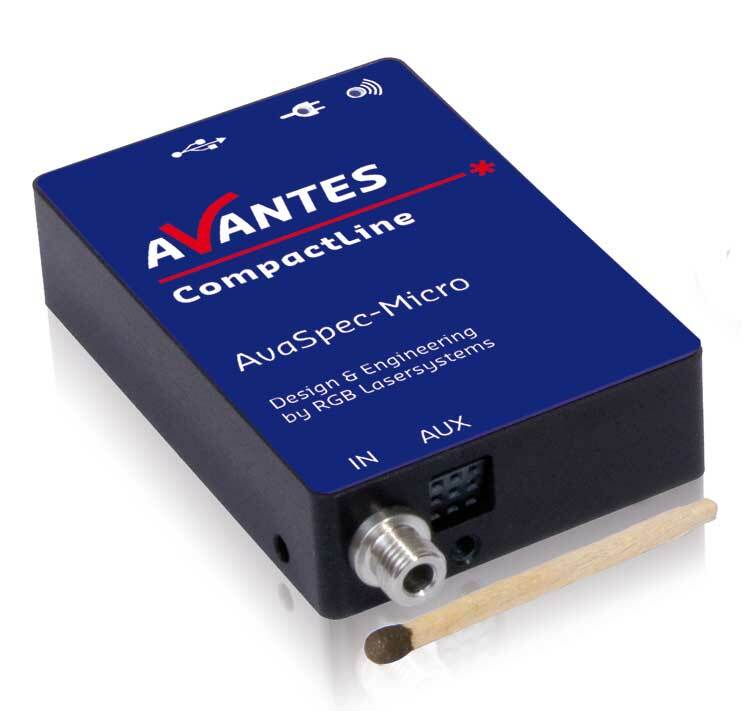 Because of its miniature size and incredibly light weight, the AvaSpec-Micro Spectrometer can be an ideal solution for almost any application. Its four channel I/O channels can be configured for use as a trigger input, shutter, as a light source control, or as a general purpose input/output. This miniature spectrometer incorporates a 2500 pixel CCD linear array, has a >170:1 signal to noise ratio, a 16-bit/15 MHz AD converter, and a data transfer speed of 50 ms/scan. For more information on its features and specifications, download the datasheet.